I was sent a Degustabox this month. I love these boxes, I can't praise them enough. It's wonderful to discover new foods and create new recipes using ingredients you may not usually purchase. 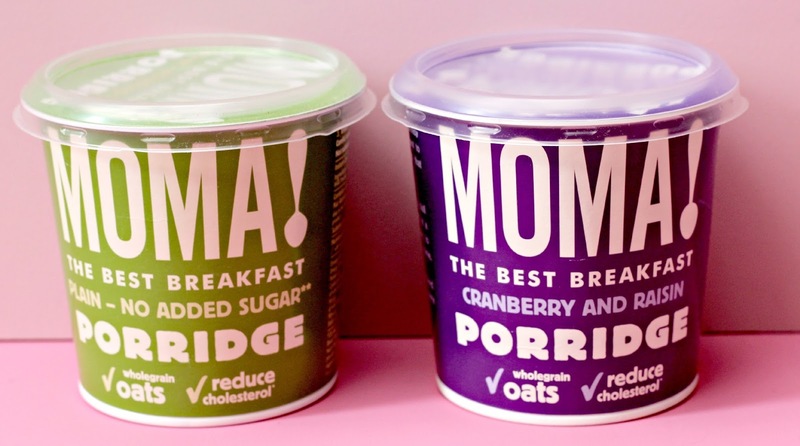 My favourite item in this months box was the Moma porridge. I usually have porridge with milk, quite thick and with chocolate, never with fruit, so I was unsure as to whether or not I would like the raisin and cranberry flavour. It was easy to prepare by just adding boiled water up to the line on the inside of the pot, stir, leave for a few minutes and then eat. I left it for a little longer than indicated on the pot and it was delicious! I am now a convert and will definitely try other fruit with porridge now too. I think these pots will be perfect for breakfast on the boat so we will be stocking up on them whenever we are due to stay on there. Before I was pregnant with Harry I would mostly drink tea. I loved it. And then, pregnancy completely put me off tea and I couldn't drink it at all. I then went onto coffee and since I have loved it. I can drink tea sometimes but coffee is my main choice of hot drink. I've been drinking a lot more black coffee recently, mainly because when my brother was on a health kick he cut out milk in his coffee and I was copying him I suppose. I tried to make myself a nice milky coffee as a treat and didn't enjoy it at all. I am a full black coffee convert, which really surprises me. And oddly enough, it always seems to taste better in my (new) Cath Kidston mug. Oooo look how pretty it is. I was quite late to the party when it came to using concealer. I have tried various ones and for a while used a Rimmel one and felt it was ok. I'm not sure if my skin tone changed or if it started to get dry or both but the Rimmel wasn't working at all. 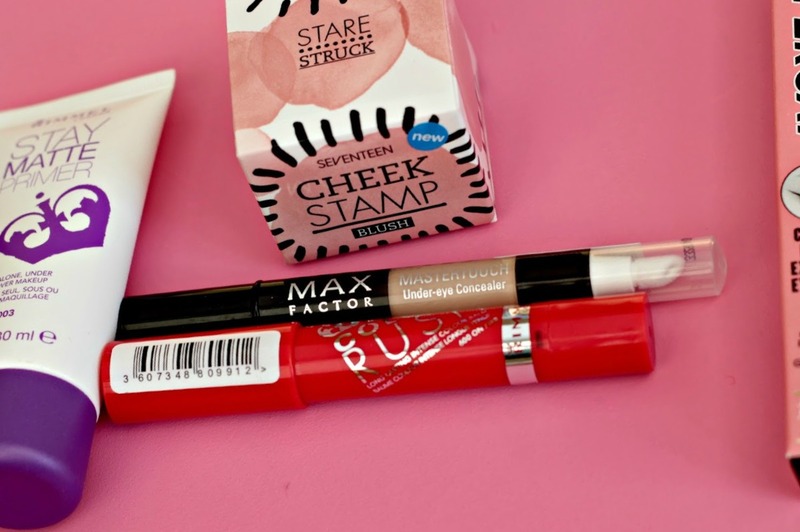 I went to Boots and fell in love with the Maxfactor Mastertouch Concealer. I've used this before, a long time ago, but rediscovering it I've realised it is the best one for my skin, and for my skin tone. It blends really well and gives a really natural look. I sometimes put it over my eyelids and blend in gently with my fingertip and then put mascara for a natural look. I also fell in love with Rimmel Colour Rush Balm in shade 'On Fire'. It's a lovely alternative to red as it has a pinky tone to it. It lasts for ages and is so silky to apply. I really love it. 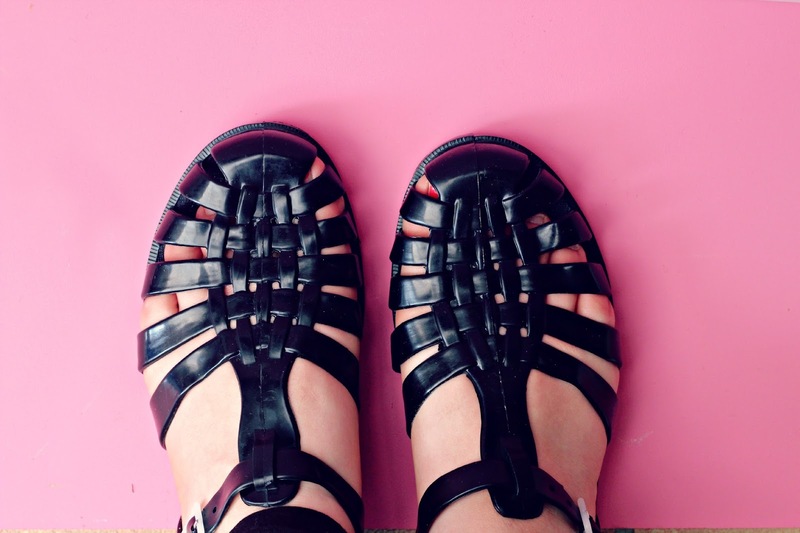 I've already blogged about these a couple of times but my biggest and favourite purchase and discovery this month has to be my Jellies. I bought them from Sun Jellies, it took me a while to decide which colour to go for and in the end I went for the sensible choice of black. I'm pretty sure that I will be purchasing further pairs in the next few months, and maybe some for the boys too. 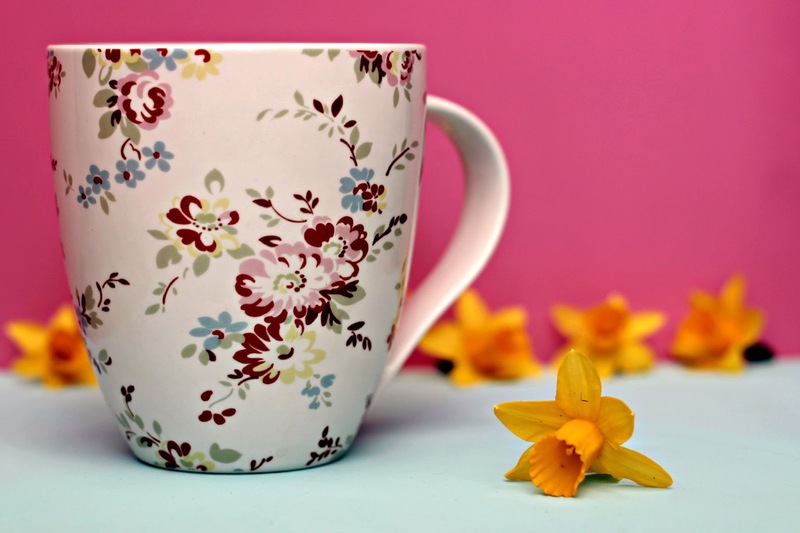 Again I have really enjoyed exploring new blogs from the UK and beyond and have set myself the challenge to at least find 5 new ones each month. 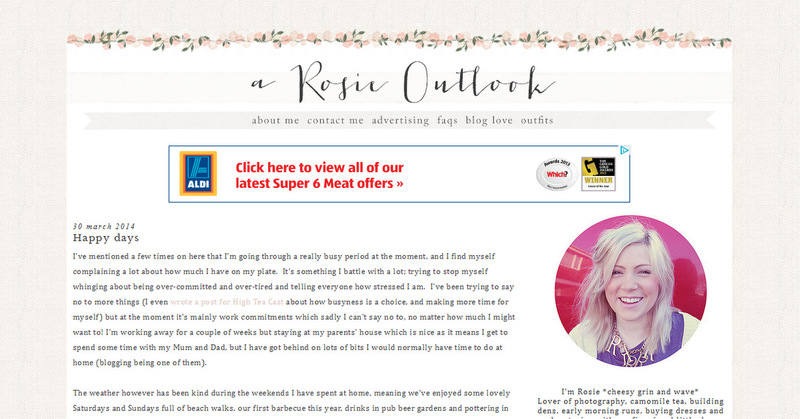 These are some I have discovered, as well as The Start Up Wife whose blog I rediscovered this month too. March saw me discover a load of new films, which is quite lovely and I guess marks a sign that I no longer have a baby as I'm actually having time to sit and watch something all the way through. I finally got round to watching Wall-E all the way through, and although before I wasn't a fan and didn't want to sit and give it any of my time or even attempt to watch it, I'm so glad I did. Harry was obsessed with it (Sky have now removed it from On Demand so the dvd will have to be purchased soon) so we watched it every single day for 2 weeks, sometimes more than once a day. Other childrens films we watched, although not new discoveries for me as I saw them both in the cinema with Charles but rediscoveries are Monsters University and Planes. The boys LOVE Monsters University, Harry can't get enough of it and it really captures it attention. Planes on the other hand, doesn't. I'm so glad we didn't buy it on dvd. It reminds me too much of Cars and Turbo....only in plane form. I also finally got to watch Saving Mr Banks. I love Tom Hanks, LOVE. And have done since I first watched Big many years ago. The man can do no wrong so I knew I would love this film. It actually made me wonder what all the fuss is about when it comes to Frozen. To me, the Mary Poppins soundtrack is SO much better and will still be popular in many years to come. After I watched this I searched the tv guide and saw 'We Need To Talk About Kevin' was on. I bought the book a long time ago and couldn't get into it and so thought I would watch the film. It was quite disturbing and dark and the end made me feel really weird. I really struggled to get to sleep after watching it and felt so uncomfortable. I wouldn't recommend the film but may give the book another try. 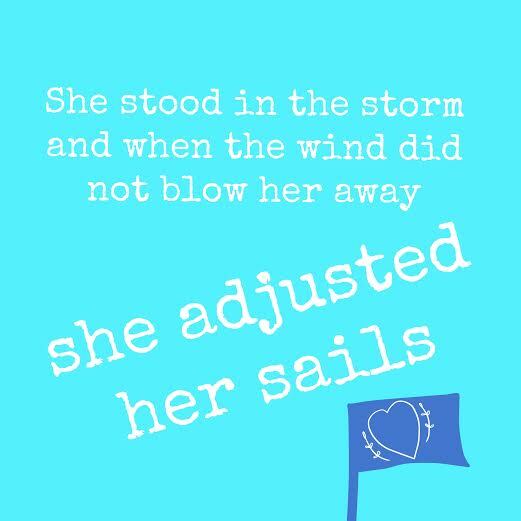 I discovered this quote this month and I feel like it really suits my way of living at the moment, not just because of the 'sails' reference. I feel as though I am on my way to knowing how to control certain aspects of my life. 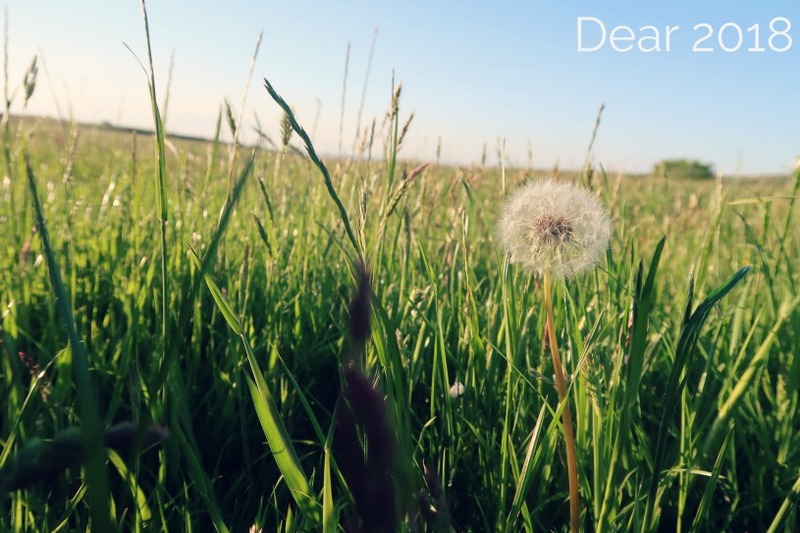 Remembering what is mine and what I can do about particular things. I have a long way to go but reminding myself of this quote helps.